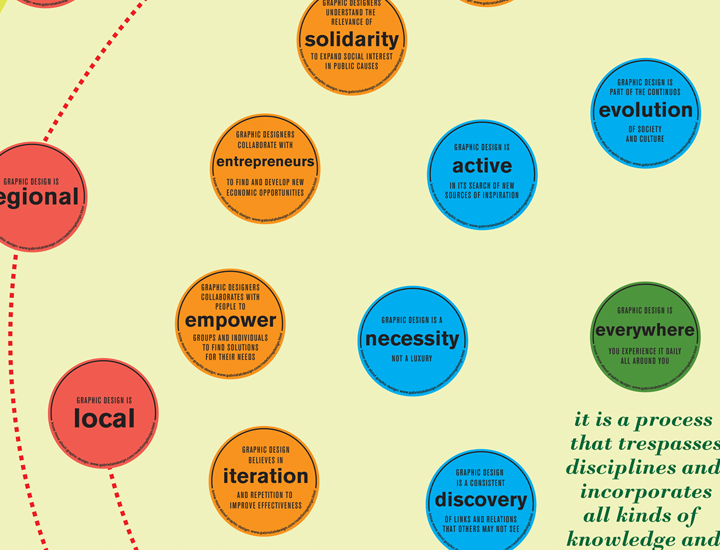 Multidisciplinary designer, researcher and professor, working on social and cross-cultural design, development, ethnographic research methods, and information design. Read complete bio. Graphic design is a discipline that constantly evolves, according to the needs of society, trends, and economic and cultural factors. Today, we, as graphic designers, have to be responsible for the way others conceive and interpret our profession in different public spaces, in the academia, and other institutions and organizations that support the activities of the professionals in this field, in order stay valid. 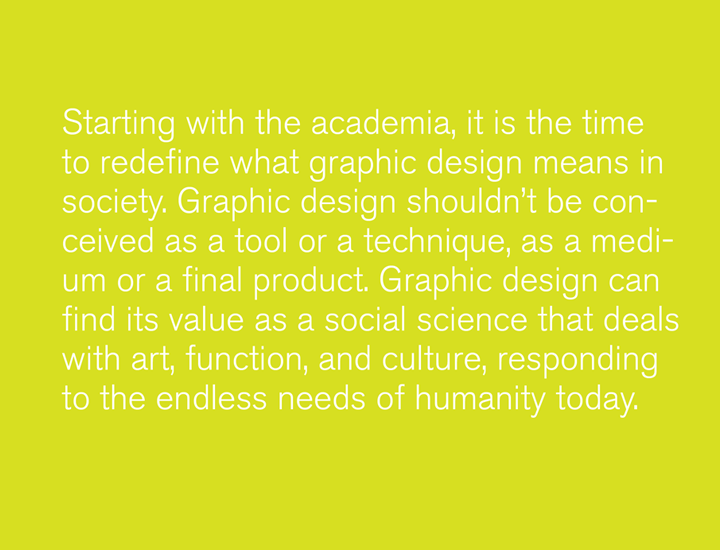 Starting with the academia, it is time to redefine what graphic design means in society. 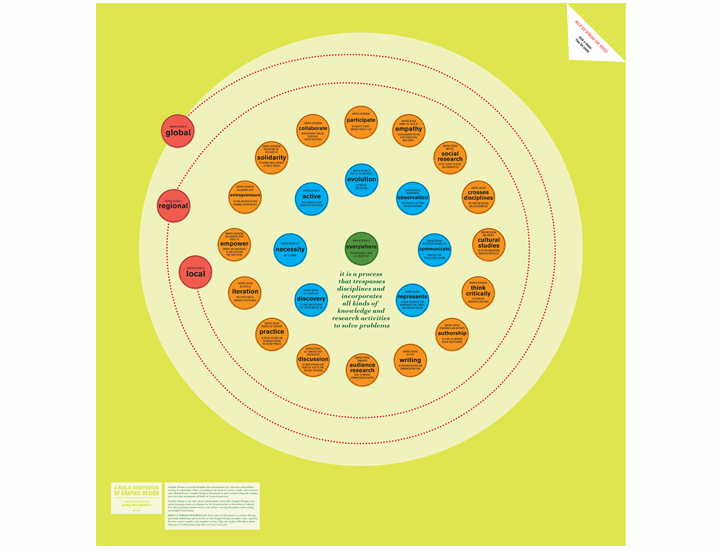 Graphic design shouldn’t be conceived as a tool or a technique, as a medium or a final product. 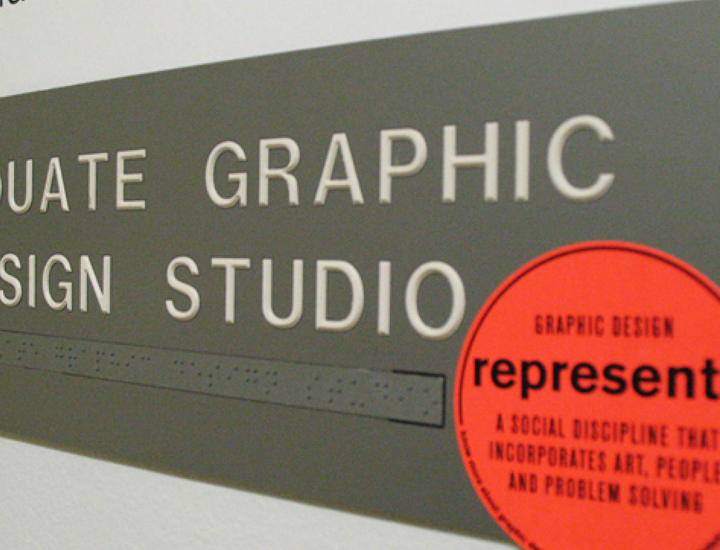 Graphic design can find its value as a social science that deals with art, function, and culture, responding to the endless needs of humanity today. 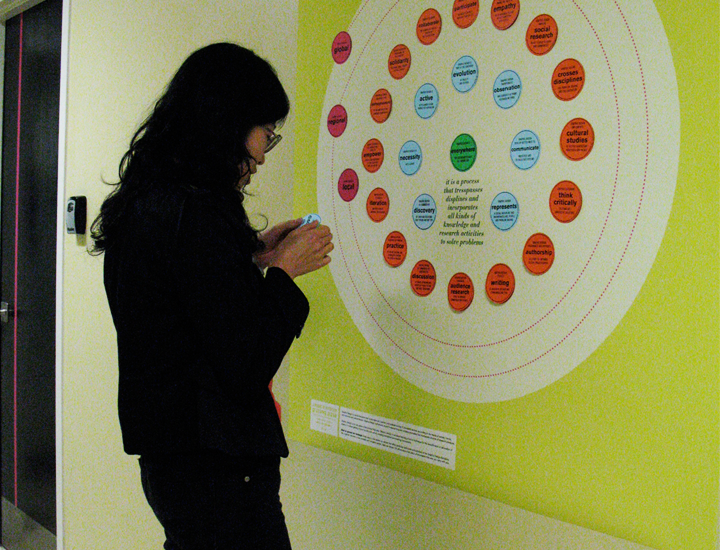 A Public Redefinition of Graphic Design is a design activism project, aimed to create awareness between students, faculty, and staff of the School of Art and Art History (SAAH) of the University of Florida, about the Graphic Design discipline, its activities, characteristics, and research methods, in order to create efficient and effective solutions for everyday problems. The project took place during December of 2010 in the different buildings of the SAAH. 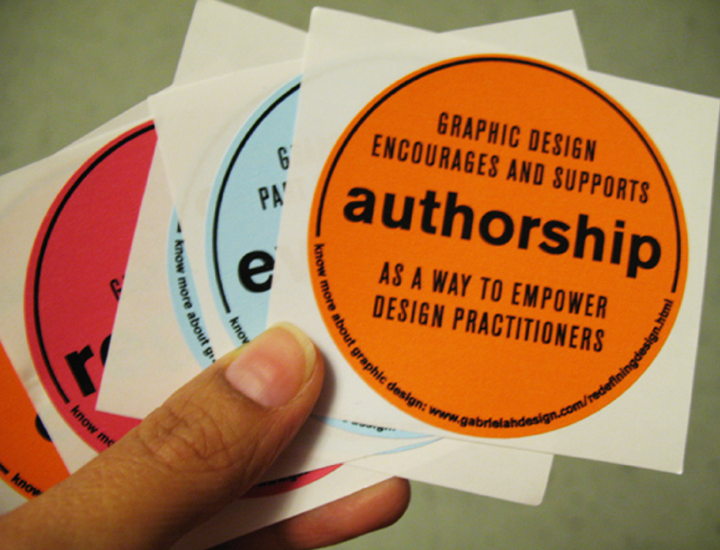 It consisted in the distribution of stickers with pieces of information about the greater meaning of current graphic design. 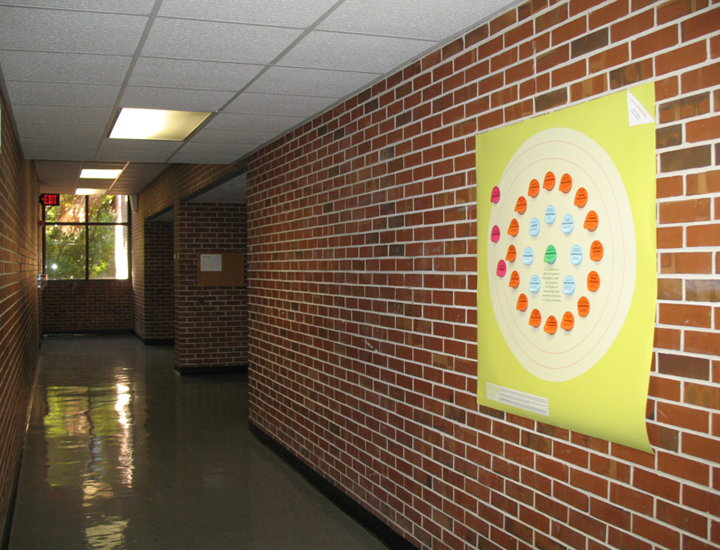 These stickers, although they stand out individually, are part of a bigger system that was also exhibited around the school as posters that incorporates all the stickers as a medium to contextualize the individual pieces. In May, 2011 I graduated with a MFA in Graphic Design from the University of Florida. My creative project explores visual storytelling mediums in rural Costa Rica. Know more about this project here. Click here for info about my teaching activities and philosophy. If you desire to know more about my teaching and professional design experience, you can reach me here. I currently live in Houston, TX. Email me anytime to hear about your projects and how we can collaborate.